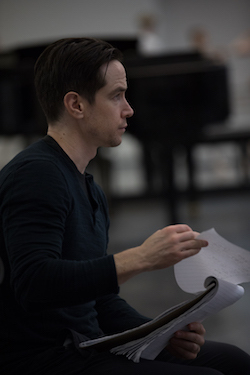 Sascha Radetsky. Photo by Rosalie O’Connor. He has been in the spotlight for a long time, sharing his incredible artistry and technical achievements with us as an audience for nearly 20 years at American Ballet Theatre (ABT), for two years as principal at Dutch National Ballet, guesting with major companies all over the world and in a handful of other stints in front of the camera. 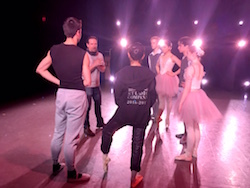 He has also been passing on his incredible artistry and technical achievements for years, having taught all across the U.S. at studios, companies and universities, shared his insights through articles in far-reaching publications such as Vogue and Newsweek, and has taken on major administrative/artistic ventures as director of the ABT/NYU Master’s in Ballet Pedagogy Program and as ballet master for ABT Studio Company. Radetsky began his career at ABT through the Studio Company, which was formed in its current iteration that same year in 1995. 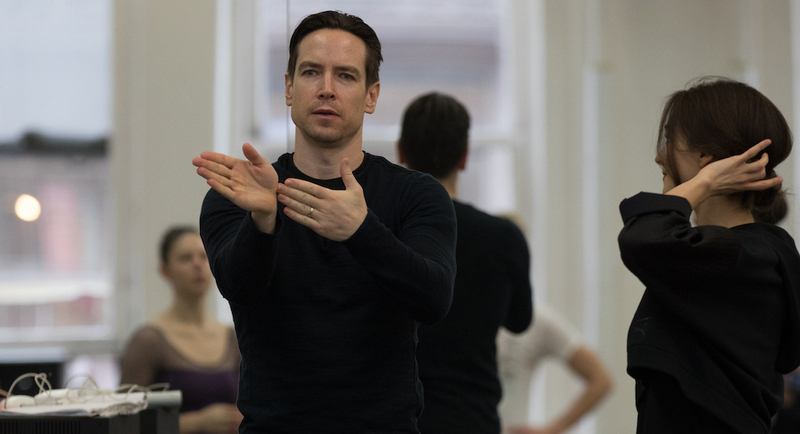 Coming full circle, after serving as its ballet master for two years, Radetsky has now taken on the role of ABT Studio Company’s Artistic Director. Alongside him will be Claire Florian as Studio Company’s managing director and Petrusjka Broholm, Danish teacher and répétiteur, as the new ballet mistress. 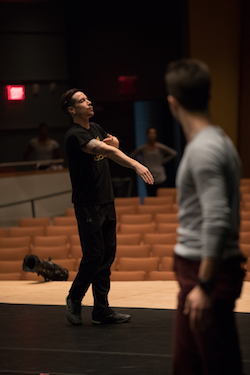 Dance Informa had the privilege of asking Radetsky a few questions about his plans for the young and talented group. 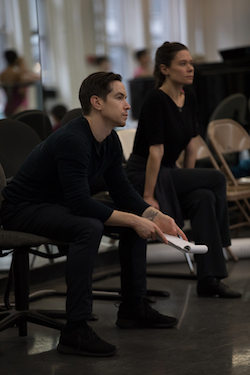 Sascha Radetsky (second from left) with the American Ballet Theatre Studio Company. Photo courtesy of Radetsky. The Studio Company ideally helps its dancers develop as artists and become ready for the main company. What’s a bit of advice in this vein that you plan to share with them this season to help inspire that development? These dancers are still quite young, so their bodies are still growing as they move into adulthood. 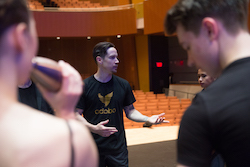 What are you and the Studio Company currently offering or implementing to help the dancers maintain and improve wellness for career longevity? 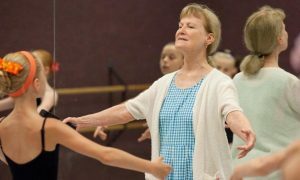 There have been some recent upsets with choreographic announcements regarding the diminishment of female choreographers in particular. Do you think that the Studio Company is a platform within which these things can be addressed and where you feel you have the freedom to bring in more diverse choreographers? Which choreographers are on the lineup for the coming season? What is one new thing or one big update you plan to implement at the Studio Company? Last but not least, any plans to return to the silver screen?! For more information on the ABT Studio Company, visit www.abt.org/training/dancer-training/abt-studio-company.